FEATURE — Wednesday sometime before the crack of dawn alarms erupted all over the house in a delayed cacophony. Still weighted down by the warmth of my comforter, I breathed in and stretched, peering out the partially covered window at the still heavy sky. I’d expected it to be brighter. I’d also expected everyone else to sleep through their alarms. Within minutes I heard stirring, surprisingly first from the bedroom of my middle boy who has shown teenage-sleep capacity since birth. The super blue blood moon was calling and there was no getting out of it. I acquiesced to the inevitable and rose. We hustled on jackets and socks and clambered out the back door to the driveway. No moon. Super, blood or otherwise. “Maybe we need higher ground,” I offered, grabbing my car keys. Up, up, up we drove to the highest street within reach in the optimal viewing window. As I drove, I kept shooting furtive glances in the rearview hoping to see hints of red. At 5,135 feet (in the Salt Lake region), I turned the car 180 degrees west. Surely this was high enough. We scanned the horizon, hopeful silence filling the car usually rampant with play fighting and knock-knock jokes. Yet, the vista offered no reward. “Stupid pollution,” yelled one boy from the back seat. “No, I think it’s clouds, not pollution,” I countered. “Well, stupid clouds then!” he replied. In my rearview, I noticed my sleep-loving boy slump beside the silhouette of my outraged one. “You mean, we got up early for nothing then?” he asked. “No, not for nothing,” I told him. “We got up for adventure.” That, and donuts. Half a dozen Bavarian creams still remained when we arrived at our favorite local donut shop. As we sat around the simple square table, my boys already wearing faint chocolate mustaches and licking cream off their fingers, we talked over the disappointment at waking up so early and not seeing the astronomical event we’d hoped. We also talked about the importance of being up for experiences, no matter the outcome. Apparently, I’m not the only mother having these kinds of conversations with her children. Later that night, I read on Facebook a friend’s account of giving her kids an inspirational speech about “the importance of sitting on the front row in life.” She told them how the front row has the best view and it’s where the most successful people sit and lead from. 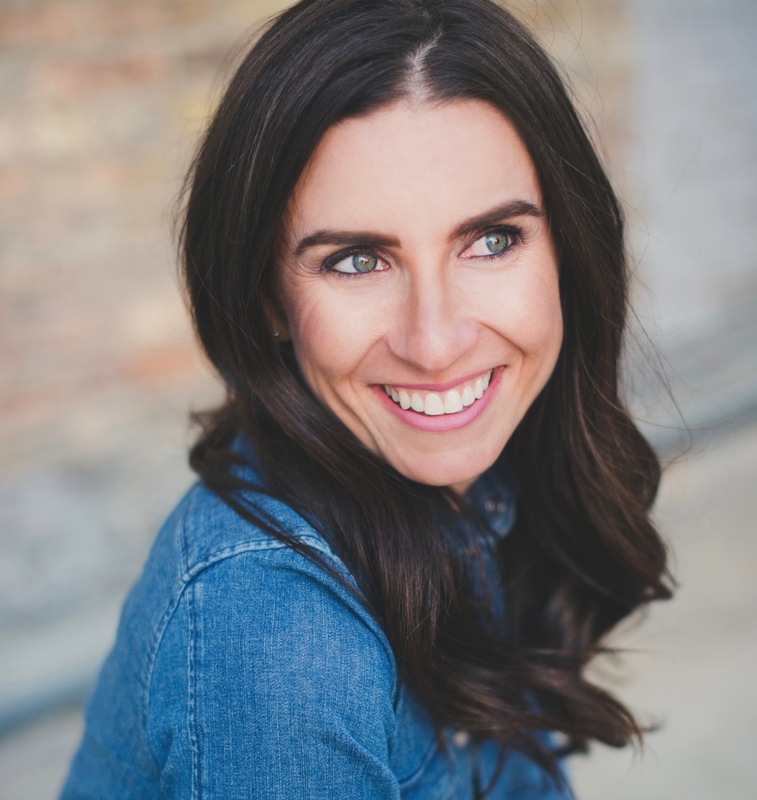 My friend concluded she is no inspirational speaker like Stephen R. Covey. But I kind of think she still is. Her kids are open. They are passionate and not just about the front row. Even though Ms. Millay is specifically talking about being unresigned to death, I believe she also makes an unspoken argument for not being resigned to life. If death is to be fought, then life is to be lived. We must seek the adventure. Sit in the front row (or on the stage or even in the stairwell). Wake before dawn to see the super blue blood moon. We must not be resigned. Ed. note 10:50 a.m. 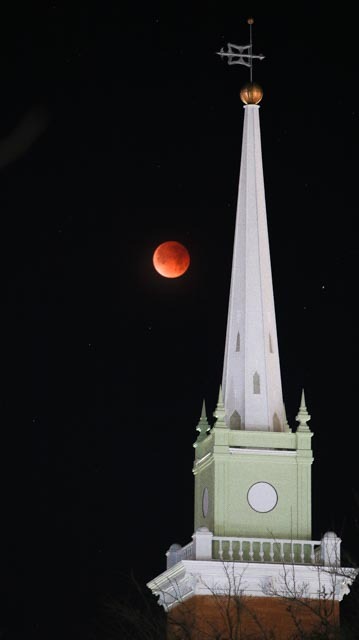 CORRECTION: The featured photo of the blood moon behind the steeple of the St. George temple of The Church of Jesus Christ of Latter-day Saints was incorrectly captioned on first publication giving courtesy to the reader who submitted it to St. George News . The photographer, Spencer Sullivan, has since given his permission to St. George News for use of the photograph with his explanation that it is a digitally-created composite photo. The caption has been revised accordingly. So the top/cover image is a fake but the 2nd one is real, right?